Ramble down the cobblestone tree lined streets in the shadows of Houston's skyline. Moments from the theatre district and down town night life this quaint & quiet pocket neighborhood boasts charm, style, and grace. The antebellum hand crafted single family homes & small complexes date back to the turn of the century (1880's to 1920's). Soaring ceilings rise above solid wood floors while oversized leaded glass windows illuminate the shiplap walls. Each home is unique with a story to tell. Find one already renovated or get your hands on a fixer upper to bring back to it's original glory with modern flairs. Fall in love with the oversized front porches and perfectly plotted back yards. Walking distance to the Washington corridor ripe with shops, eateries, coffee shops, and bars. Stroll across the Sabine street bridge to visit the cistern, skate park, bike or jogging trails, and fine dining over the bayou. 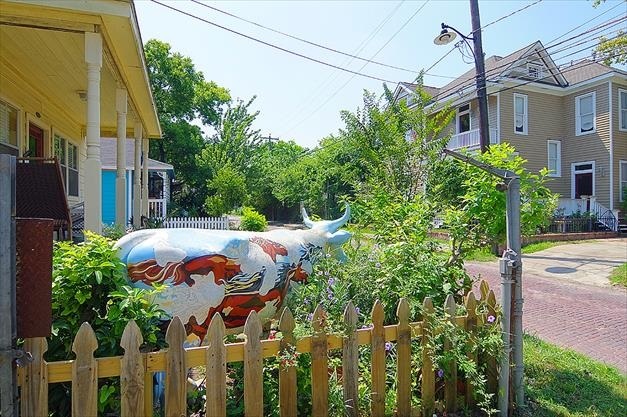 This historically protected neighborhood is surrounded by many of the amenities that makes Houston special. This absolutely is one of my favorite neighborhoods and I highly recommend calling it home. Contact me today to find out what is available for either rent or sale.